Suboxone is a medication used in the treatment of opiate addiction. It is a combination of buprenorphine and naloxone. Buprenorphine is a partial agonist-antagonist, and naloxone is an opiate antagonist, meaning they produce similar effects within the brain that opioid drugs do. These drugs help to reduce symptoms of withdrawal and prevent cravings for illicit substances. Suboxone can be used to help prevent relapse and assist in maintaining sobriety; however, it can also be abused by people seeking the “high” associated with opioid drug use. When used correctly and under close supervision, Suboxone is relatively safe and effective, continuing to work for up to three days after being administered. 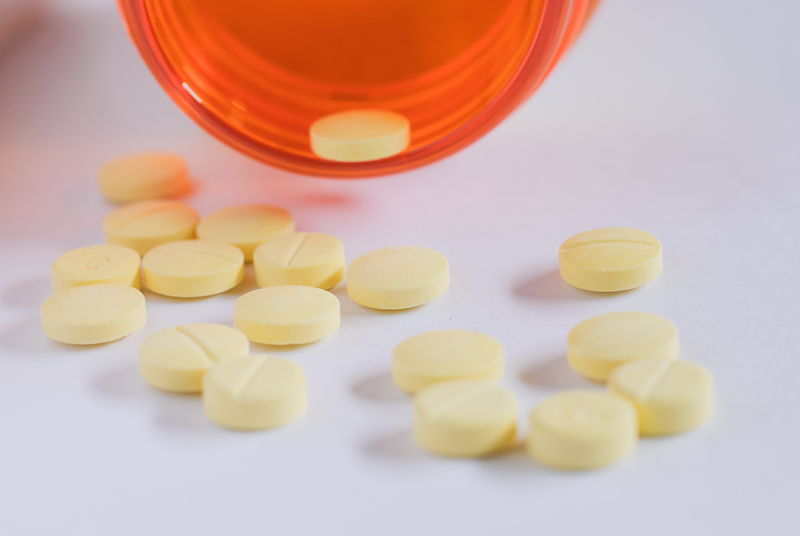 The Substance Abuse and Mental Health Services Administration (SAMHSA) reports that buprenorphine, one of the main active ingredients in Suboxone, can produce effects like euphoria, which may tempt some people suffering from addiction to try and abuse the drug. However, increased doses of buprenorphine do not increase the euphoric effects past a certain point, so it is difficult to experience the same high that one would from other opiates. This helps limit the chances of abuse and dependence. According to the National Alliance of Advocates for Buprenorphine Treatment (NAABT), buprenorphine can stay in the system and continue to work for up to three days. According to SAMHSA, treatment with Suboxone occurs in three phases: induction, stabilization, and maintenance. Induction is the beginning of treatment with Suboxone, and it should be started within 12-24 hours of the last opioid drug use. Treatment needs to begin during the early stages of withdrawal, or Suboxone could worsen symptoms rather than improving them. Stabilization is the second phase and the stage in which the addicted individual has completely ceased all illicit drug use, is experiencing few (if any) symptoms of withdrawal, and no longer has cravings. During the stabilization phase, dosage and frequency is adjusted to meet the needs of the individual. The maintenance phase involves the continued steady dose of Suboxone over a period of time, eventually tapering off to a lower dose, until eventually no Suboxone is needed. Some people experience more dangerous reactions to Suboxone. These can include hives, itching, difficulty breathing, swelling of the face or extremities, or extreme tiredness. Anyone experiencing these symptoms in reaction to Suboxone should seek medical attention immediately. The use of Suboxone to treat addiction to opiates has risen steadily since it was first introduced. This is partly due to the various benefits of Suboxone treatment as compared to other drugs that treat opiate addiction, such as methadone. Suboxone is unique in that it can be administered in an outpatient setting, which increases the number of people for whom Suboxone is a viable treatment option. However, the Washington Post reports that while this drug has been shown to be effective in the treatment of addiction and withdrawal, it is still heavily regulated and somewhat difficult to acquire. Due to the effects of Suboxone, which mimic the effects of illicit drugs, the medication is sometimes diverted and sold on the street. Extremely large doses of the drug can lead to overdose and death. Concerns regarding abuse have led to the continuation of strict regulations regarding use of this medication. Treatment for addiction to Suboxone is similar to that for addiction to opioid drugs. Behavioral therapy is typically used as the primary treatment method in these circumstances. Medications may be used for some individuals; however, use is determined on a case-by-case basis. Cognitive Behavioral Therapy: This type of therapy focuses on the unhealthy patterns of thought and behavior that led to addiction and that continue to maintain the addiction. Individuals receiving this type of therapy learn to recognize unhelpful thoughts and behaviors and replace them with new patterns that will help them recover from their addiction, rather than continue the cycle of drug abuse. They also learn how to cope with difficult emotions and situations that may trigger drug abuse, so they can better resist the urge to relapse. Motivational Enhancement Therapy: Therapy following this model is typically used in the beginning stages of treatment. The individual is encouraged to participate in recovery, commit to the treatment program, and fully invest in sobriety. This can be helpful in motivating individuals to work toward recovery. Contingency Management: This model of therapy creates a positive association with treatment and recovery by rewarding the individual for specific healthy behaviors. Positive reinforcement is used to encourage participation in treatment and maintain sobriety. Both individual and group therapy are usually offered in both inpatient and outpatient treatment programs. Inpatient programs can offer certain advantages, such as 24-hour care, and less access to drugs or alcohol. However, inpatient care can be expensive, and some health insurance plans may not cover inpatient treatment. Outpatient programs can be an appropriate choice for people with a strong support system who would benefit from staying connected with their lives outside of treatment. Intensive outpatient programs offer many of the same advantages as inpatient programs, but the individual continues living at home while spending several hours a day in treatment. The best treatment option will be different for each individual. A healthcare professional or addiction specialist will be able to help you choose the correct treatment plan for your situation. Is Suboxone as addictive as methadone? Since the opioid component of Suboxone, buprenorphine, is only a partial opioid agonist, it does not fully activate opioid receptors the same way that a full agonist like methadone does. A person is therefore less likely to feel the same euphoric high when taking it. After a set amount of buprenorphine is in the system, the effects level out, known as the “plateau effect.” This means that no matter how much more Suboxone a person takes, it will not have any more intoxicating effects. The opioid antagonist component, naloxone, can precipitate withdrawal symptoms (if Suboxone is crushed and injected), which most people wish to avoid as these symptoms are generally uncomfortable. The naloxone works as an abuse-deterrent, making it less desirable as a drug of abuse. For these reasons, Suboxone is generally not considered to be as addictive as other opioid drugs like methadone. It is still a partial opioid agonist, however, and a person can build up tolerance to the drug. With repeated use, and especially if dosage is continually increased, a person can become dependent on Suboxone and addiction may follow. The Journal of Neurosciences in Rural Practices publishes that, when used as directed, buprenorphine is likely safer to use for treating opioid dependence than methadone. Suboxone should be used under the close supervision of a trained professional and in conjunction with therapy to ensure that the drug is used properly and dosages remain controlled. What forms and doses does Suboxone come in? Suboxone is administered in the form of a sublingual filmstrip that is dissolved under the tongue or in the cheek (buccal administration) and as a sublingual tablet that is dissolved in the mouth. Trained medical providers can determine what type and dosage of Suboxone is best for the individual. The dosage can be altered over time, as dosages are often tapered down throughout opioid dependence treatment and recovery. What are the dangers of mixing Suboxone with alcohol? Opioid drugs, like the buprenorphine contained in Suboxone, are central nervous system depressants. This means that they slow down some of the body’s autonomic and life-sustaining functions like respiration, blood pressure, and heart rate, and they also lower body temperature. Alcohol is also a depressant, and when two depressants are combined, the risk for a potentially life-threatening overdose is increased. Loss of consciousness, coma, brain damage, and death may be the result of an overdose. Both alcohol and Suboxone can also impair a person’s cognitive and motor control skills, making tasks like driving a car, operating machinery, or making sound decisions more difficult. The rate of accidents, injuries, and questionable behaviors leading to actions with long-term consequences (e.g., contraction of an infectious disease, unwanted pregnancy, criminal or legal troubles, etc.) is also raised when Suboxone is combined with alcohol. Over 20,000 individuals received medical care in an emergency department (ED) in 2010 for misuse of a buprenorphine product (such as Suboxone), the Drug Abuse Warning Network (DAWN) publishes. Taking too much Suboxone at once can cause a toxic buildup of the opioid drug buprenorphine in the body and lead to overdose. An opioid overdose generally results in significantly depressed respiration rates, and a person may struggle to breathe or stop breathing altogether. Pinpoint pupils, cold and clammy skin, slow heart rate and pulse, difficulties breathing, and a bluish tinge to fingernails and/or lips are possible signs of a Suboxone overdose. A Suboxone overdose can be fatal and requires immediate medical attention. More than 30,000 Americans died from an opioid overdose in 2015, more than any other recorded year, the Centers for Disease Control and Prevention (CDC) reports. Mixing Suboxone with other depressants like alcohol, benzodiazepines, or other opioid drugs can increase the risk for overdose as can injecting the drug. Are there proven non-medication-based methods for treating opiate addiction? While NIDA (the National Institute on Drug Abuse) reports that a combination of medications and therapeutic methods is often considered ideal when treating opioid dependence, behavioral techniques have been proven to be useful on their own as well. Behavioral therapies, such as Cognitive Behavioral Therapy (CBT) and Contingency Management, can help a person to alter negative mindsets and thoughts. CBT is a form of therapy that uncovers potential triggers and teaches new and more effective ways to cope with stress and drug cravings. Negative images of oneself and destructive thought patterns are positively modified through CBT. Contingency Management also works to change drug-seeking behaviors by providing “prizes” for clean drug tests, motivating individuals to remain abstinent. Behavioral therapies, as part of a comprehensive treatment model, work to build new pathways to reward in the brain. Positive changes to brain circuitry that has been damaged by drug addiction have been documented with use of CBT, Psychiatric Times publishes. Staying in treatment for long enough for the brain to heal and for healthy habits to form and become ingrained is important. NIDA recommends that individuals remain in an addiction treatment program at least 90 days and even longer when needed. Nutritious and balanced meals, as well as regular exercise and proper amounts of sleep, can help the body to regain healthy physical balance. Exercise can release endorphins naturally and promote brain healing as well. Keeping the mind occupied through hobbies and artistic expression and helping to minimize stress can help to prevent relapse. A treatment program will also often include adjunct and alternative medical options that are not medication-based. Yoga and mindfulness meditation may be helpful in improving self-reliance and control, and in strengthening the bond between the mind and body. Mindfulness meditation can help to reduce stress, and the journal Substance Abuse publishes information on its rising promise in helping to treat addiction. Recognizing physical cues and discomforts can help a person to be more in tune to what their body is telling them and in turn be better able to manage thoughts and actions as a result. Chiropractic care, massage therapy, spa treatments, acupuncture, and other holistic measures can be useful during opioid addiction treatment as well. Generally speaking, a treatment program that provides multiple therapies and treatment methods that are specifically tailored to the individual is optimal for a sustained recovery.